Keep in mind that the email address which you are using for “Mail from” should be of type email@yourdomain.com. SMTP Username – email@yourdomain.com (note that you should use the full email address as username including the @domain part). 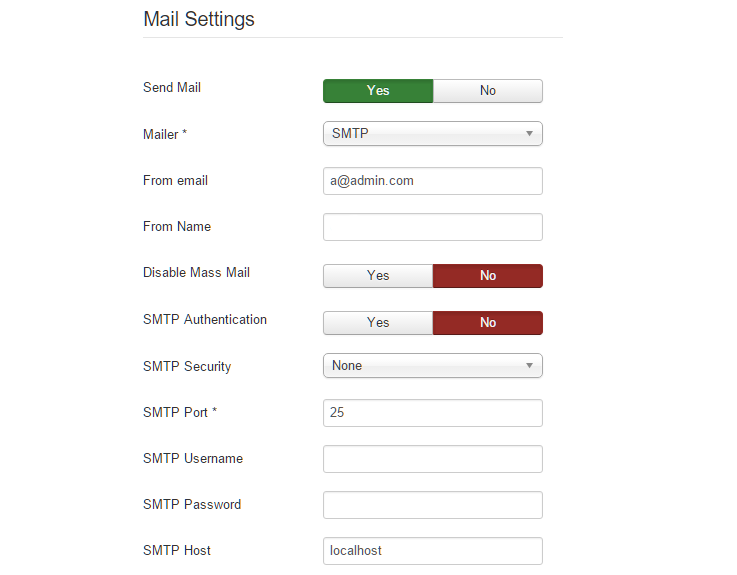 SMTP Password – The correct password for the email account you supplied as Username. SMTP Host – This can be your domain name. JForm located in the contact-us section of http://www.muh-fin.com web site has made the following error and we ask for your help for the solution.